Google plans to add more partners from China in the future, including Huawei and Samsung. In an effort to make an entry into China, Google has announced that it is tying up with Xiaomi to introduce its ARCore technology in the country. According to a new report by TechCrunch, the technology will first be available on Xiaomi’s MIX 2S phones through an app in the Xiaomi App Store. Google reportedly also has plans of adding more Chinese partners in the project, including Huawei and Samsung. To give you a refresher, ARCore is a development platform built by Google for building augmented reality apps for Android devices. It was picked up from an earlier project they’d started back in 2014, called Project Tango and rebranded as ARCore. Although China’s internet censors do not allow Google’s core services to operate in the country, they will not disrupt ARCore apps from running because the technology works offline. 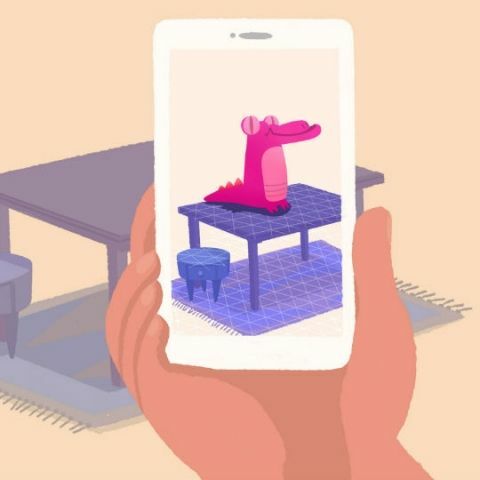 The ARCore technology works by tracking the position of the phone relative to its surroundings using the phone’s camera and — in Google’s words — "builds its own understanding of the real world." The company also added in a blog post from last year, "With a combination of the movement of these points and readings from the phone's inertial sensors, ARCore determines both the position and orientation of the phone as it moves through space." Here's an example of how the ARCore technology works: you could annotate a book in the real-world with the author’s information, move the phone away, walk around, and return to find the information in the same place. Lastly, Google is reportedly hosting its first ‘Demo Day’ program for startups in Asia. It has planned an event in September for Shanghai and registrations for it are now open.